Life is hard in Doutchi, Niger. Frequent drought and devastating floods have repeatedly destroyed harvests, meaning that it can be a struggle for families to have even one meal a day. However, thanks to generous Hands On donors, work is finishing in Doutchi. Three years on, the people of Doutchi have learnt how to survive on the edge of the Sahara Desert. Niger is the world’s poorest country and is also one of the hottest. Getting enough food to eat is the biggest challenge for people living here. But the people of Doutchi have worked hard to break this cycle of hunger, ensuring that each family can be sure of three meals every day. All of which are laying the foundations for a better and more secure future. While Hands On Doutchi is no longer in need of new donors, we have launched our new Hands On project. 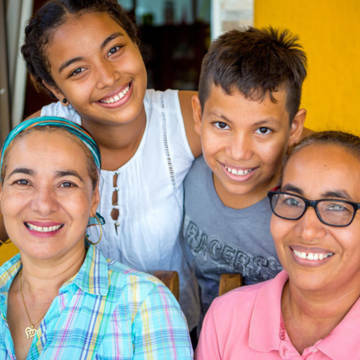 Our next project is in Colombia, where for over 50 years, families have been living with conflict between government forces, guerrillas and paramilitaries. Starting from the ground up, this next three-year project will work with young leaders to build peace in their community. Our Hands On project is in Colombia. You can help young people transform their lives in the region of Magdalena Medio. 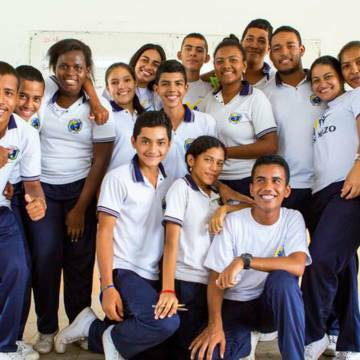 Join our Hands On project and help young people living in the Magdalena Medio region to build a peaceful future, free from violence and conflict.